Edinburgh coach Richard Cockerill praised his side’s mentality and spirit as they completed their pre-season preparations with a solid 23-13 win at Newcastle Falcons last night. 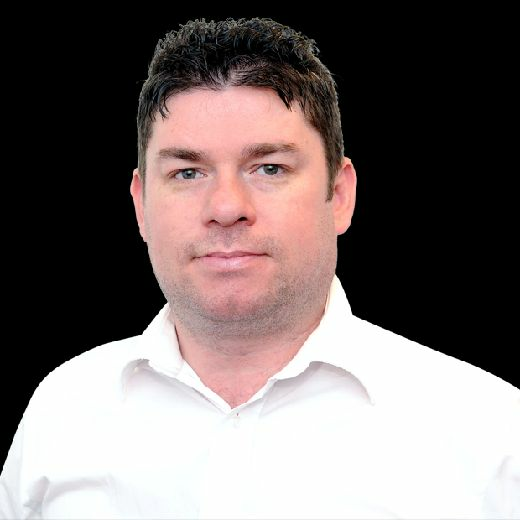 Against a side who had thumped Guinness Pro14 champions Leinster 42-17 in Dublin last week, and who Edinburgh will meet again in a December Heineken Champions double-header, Cockerill’s side were organised and efficient and fully worth the ten-point winning margin. The Edinburgh squad will be back in training tomorrow morning as they build towards Friday evening’s Pro14 opener against Ospreys in Swansea. There was a late change to Edinburgh’s named team as Dougie Fife dropped out due to tonsilitis. Tom Brown shifted from wing to full-back, with Scotland Sevens star Jamie Farndale coming in to fill the No 14 jersey. Edinburgh started with the greater impetus and were rewarded with a penalty 22 metres out in the fifth minute, which Jaco van der Walt converted with minimum fuss. Newcastle responded and two Toby Flood penalties had them ahead before Van der Walt, pictured, responded after a high tackle on Hamish Watson to restore parity approaching midway through the half. 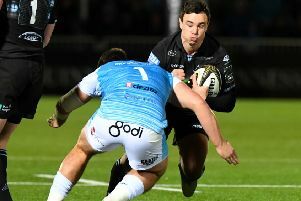 The first try came soon after and it was the visitors who struck as skipper Stuart McInally made the incursion before scrum-half Henry Pyrgos put centre Matt Scott over for the first score of his second stint with Edinburgh following a summer return from Gloucester. Van der Walt added the extras and Edinburgh took a 13-6 lead in at the break. Seven days earlier during the 12-10 loss to Bath at Meggetland, Cockerill had changed his entire team at the interval but, with the proper business now less than a week away, opted to keep the same XV on the park for the start of the second half before gradually freshening it up, including the Scotland international front row trio of WP Nel, Ross Ford and Allan Dell. Edinburgh continued to be the side playing with the most fluidity and won a penalty ten minutes in, which Van der Walt slotted to stretch the Scots’ lead to ten points. Heading into the last 15 minutes the Falcons began to build a bit of momentum and pushed Edinburgh back. A scrum in front of the posts gave them a promising attacking platform, some desperate defending kept them out but a penalty was conceded. Newcastle went for touch and the lineout drive but again could find no way through and Edinburgh proceeded to unleash a strong finish to the match. First James Johnstone danced through the tiring Falcons defence and then another slick move almost resulted in wing Duhan van der Merwe going over but for a foot in touch at the left corner. Moments later the clinching try did come as Farndale bagged Edinburgh’s second of the night with a comfortable run in down the right and Van der Walt converted. Livewire Newcastle wing Adam Radwan scorched in for a late converted try with the last play of a match that Edinburgh had more than deserved to win. “It was a good performance from us, we played some decent stuff, scored a couple of good tries,” added Cockerill. “A bit frustrated with conceding at the death but I thought it was good.